We make it as easy as possible to consult a lawyer. People can call us 24 hours a day, seven days a week. Because most of our clients work and cannot visit us during normal business hours, we offer evening and weekend appointments. We provide free consultations so that potential clients understand the process even before they discuss the specifics of their case. And we also speak Spanish. Our firm is not a debt clinic or a mill. We take time to give clients the attention they deserve. We answer questions about the process and what the current legal problem will mean for the future. We make sure that we obtain an accurate picture of your financial situation. We clearly explain the fees we charge for filing. We make sure our clients have the information they need. At our law firm, you are not a number or a case — you are a valued client. This means that we will be honest with you. If bankruptcy is not right for you, our attorneys will tell you. If your bankruptcy filing may be complicated, we will let you know. Our goals are your goals — we want to help you move ahead with your life. Bankruptcy is not for everyone. 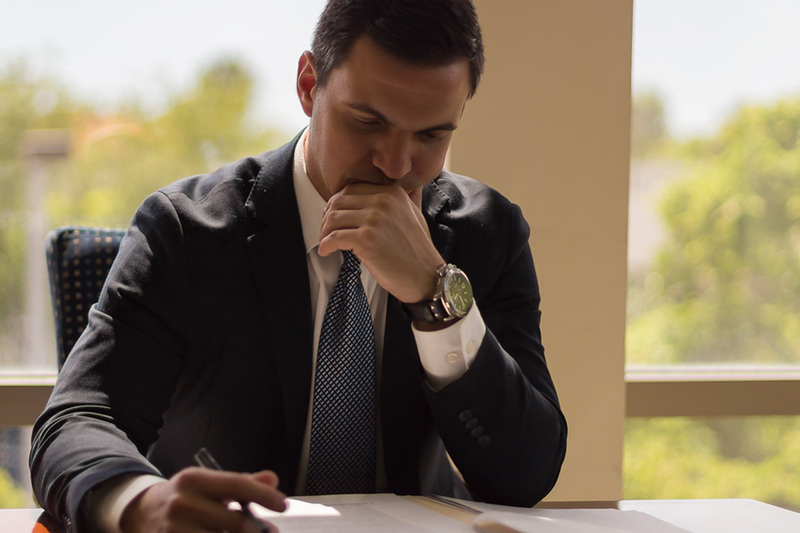 Our attorneys will help you decide if bankruptcy is right for you. Not everyone who has accumulated too much debt needs to file bankruptcy. A great benefit of filing bankruptcy is that it immediately stops creditors from calling you at home, at work or at school. In other words, you can put an end to collections calls. Chapter 7 involves liquidating your non-exempt property to discharge your debts. Chapter 13 bankruptcy is a debt repayment plan that takes place over 3 to 5 years. Chapter 7 is a one-time discharge of debt. There are a number of circumstances that make it advantageous for one spouse to file bankruptcy while the other spouse retains his or her assets. We also discuss the bankruptcy process so that you’ll know what lies ahead. The means test evaluates your income and assets as shown on your tax returns and pay stubs. In turn, this will determine whether you qualify for Chapter 7 or some other type of bankruptcy proceeding. 2. WHAT CAN I KEEP? This is one of the most common question about bankruptcy. We provide straightforward answers to people who are afraid that they’ll lose everything (they won’t). Timing is everything when it comes to protecting your home against foreclosure. In some cases, bankruptcy can completely stop home foreclosure and keep you and your family in your home. The bankruptcy attorneys at Law Office of Raymond Ferrer, are dedicated to helping clients get through the bankruptcy process and start putting their lives together again. Get started on your new life. Contact a bankruptcy attorney at Law Office of Raymond Ferrer. Call our Miami law firm at 305-812-0897 or complete the form below.